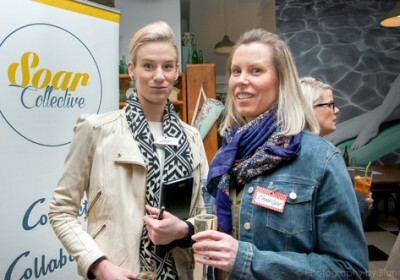 With You Midwifery is a new model of pregnancy care on the Mornington Peninsula. Receive one-on-one private Midwife care from the moment you are pregnant until six weeks post birth. With You Midwifery was founded by Penelope Watson for women to experience a different model of pregnancy care. 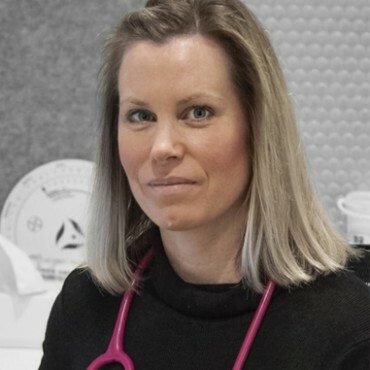 Her belief that woman can receive more attentive care from the expertise of a Midwife who is trained in the normal and natural drives her mission for a better option. Your dedicated Midwife is with you from the moment you are pregnant through to six weeks post birth. 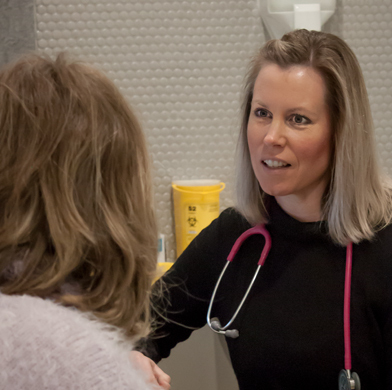 Taking care of all the regular checks, tests and investigations your traditional GP or Obstetric model of care would provide, but with the benefit of having one care provider with you the whole way who’s trained in the ‘normal’. Pregnancy should be a memorable and positive experience. 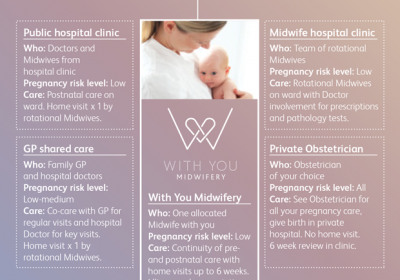 To ensure your best preparation, education, support and empowerment, With you Midwifery has devised four pregnancy care options with different levels of attendance tailored to you. If you would like to make an enquiry, view our fee schedule, download our referral form or make a prenatal or antenatal appointment, please contact us.